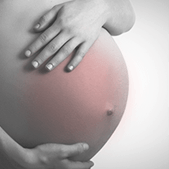 This client is a 13 provider private, physician-owned obstetrics and gynecology practice located on the west coast. Several small practices merged to form a new, larger group. The new group elected to outsource their revenue cycle from the beginning and had chosen NextGen as their eventual EMR, thus wanting their billing done on the NextGen practice management system. ALN provides revenue cycle management and hosting/support for the NextGen system. As this was a newly formed group, we also provided a range of consulting services on things such as the physician compensation model and space lease negotiations. Recently, we negotiated an EMR subsidy arrangement with their affiliated hospital and are now implementing the NextGen EMR. Payments, on the same volume, increased by 15%. Patient payments increased by 77% with the implementation of a front-end payment estimation tool that ALN developed. The separate groups now function as a single, integrated practice.